Kansas City has a longstanding gap in an otherwise-solid support structure for entrepreneurship: investment dollars. KCSourceLink, a program of the University of Missouri-Kansas City Innovation Center, has worked with key partners to craft an action plan to address that gap – and issued a call to action for the community to execute that plan. “We Create Capital: Financing Startup and Early-Stage Companies in the Kansas City Region” is the title of the research-driven study and plan presented June 1 at a luncheon at the Ewing Marion Kauffman Foundation. 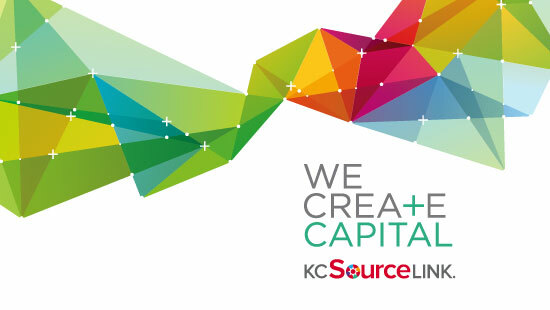 The Kauffman Foundation and the Greater Kansas City Chamber of Commerce worked with KC SourceLink to create the plan. Maria Meyers, founder of KCSourceLink, presented the research findings and plan. She said Kansas City trails many other communities in terms of making investment dollars available to entrepreneurs, via loans, private investment and grants. Greater Kansas City is not tapping available federal and state entrepreneurship grants, and trails competing metros in pulling together private investment. The region is lacking in microloans, seed capital and locally-based venture capital firms. “Folks, we’re leaving a lot of money on the table here,” Meyers told an audience of bankers, educators, public officials and chamber members. A complete copy of the report and recommended action steps is available at www.wecreatekc.com. Meyers said the action steps needed to improve the situation are clear. Kansas City needs to strengthen its funding infrastructure, build the experience needed to pursue federal funding and connect investors with entrepreneurs and with other investors. “We have an issue here of our community and our investors not being well connected with each other,” Meyers said. “We Create Capital” sets out four bold actions that, if embraced by the community, can drive significant dollars to support startups. Terry Dunn, chairman of the Greater Kansas City Chamber of Commerce; and Matt Condon, “Champion” of the Chamber’s Big 5 entrepreneurship initiative, joined Meyers at the event. They called for individual, corporate and foundation investors to coalesce around the existing Flyover Capital fund, now at $43 million, and to create a new fund with $50 million available for venture capital investment. The plan also calls for recruiting regional offices for at least two venture capital firms headquartered outside of Kansas City. “I truly believe that June 1, 2015, is a pivot point for our community,” Condon said. Citing successful entrepreneurs from previous generations such as Henry Bloch, Barnett Helzberg, James Stowers and Ewing Kauffman, Condon said the community has been “drinking from the wells” dug by previous generations.